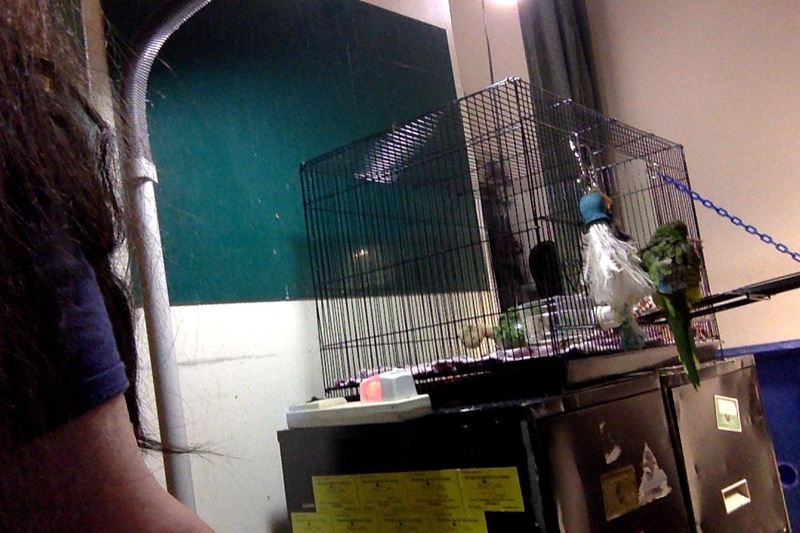 Peri, a green Quaker parrot standing with her back to the camera, fluffed up and leaning a bit on a feather toy hanging from her small hospital cage. Which conversations will I regret not having, the most? I want to tell you? I want to ask you? And how will I share those things with you? And I don’t remember it until you’re dead? Will it matter so much, that I never forget? Will it matter so much, that it always haunts me? Be whether I said “I love you” enough?